Today's project is simple to recreate - I used the free Sale-a-bration Carried Away DSP for the background and some Watermelon Wonder and Night of Navy Cardstock to tie in the balloon pattern. 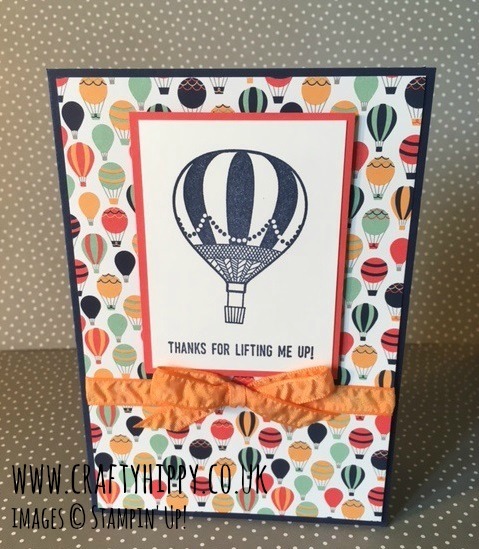 The balloon and the sentiment are from the Lift Me Up stamp set (also available in Clear Mount). I finished this card off with a streak of Peekaboo Peach Ruched Ribbon.